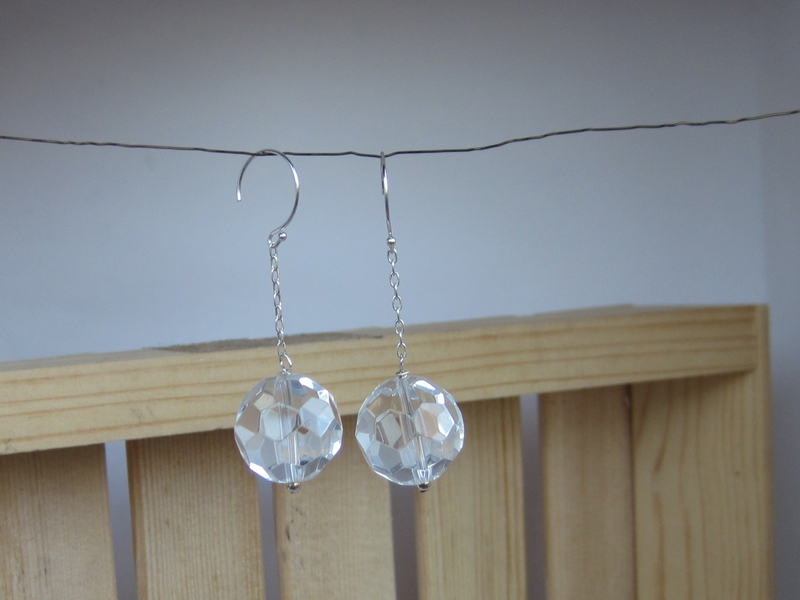 These earrings are a fun stand out addition to any outfit. The clear facted glass goes with anything and they are large enough to stand out but still be elegant. 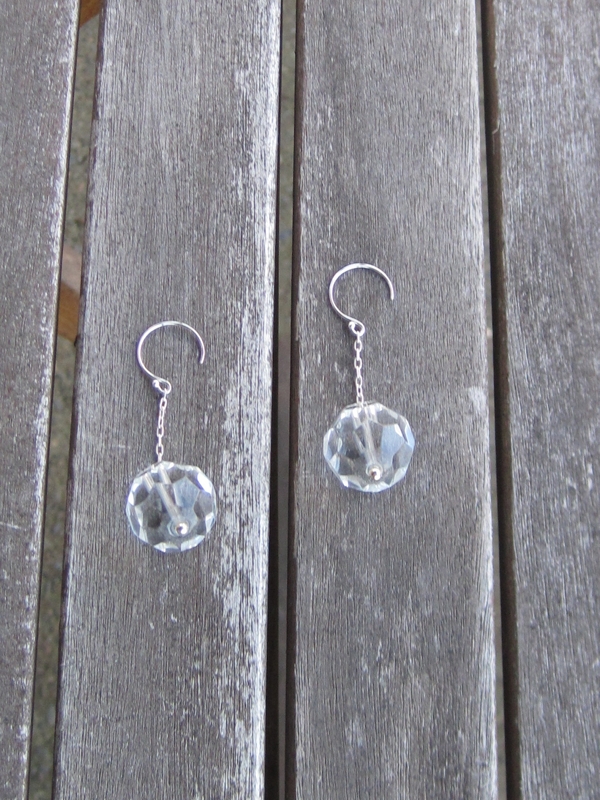 They are 2 1/4 inches long and hang on sterling silver chain and sterling silver half hoop ear wires. 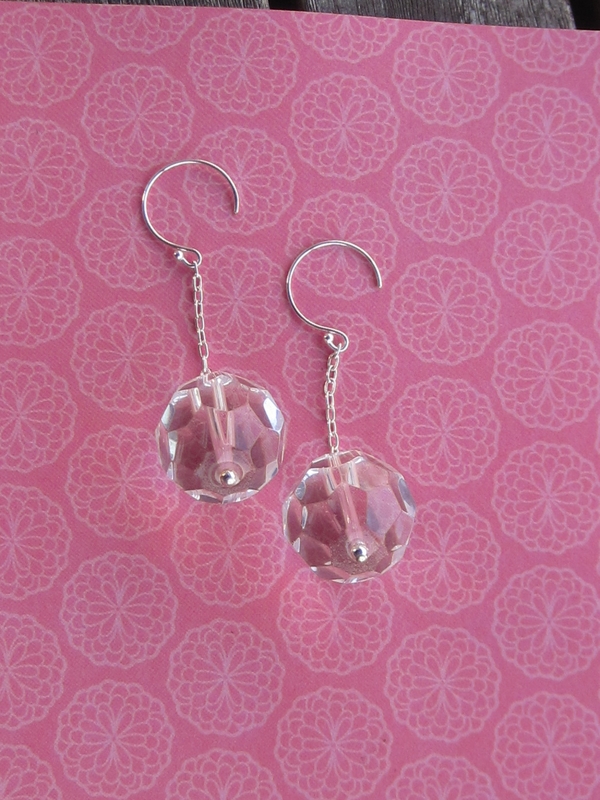 The glass disco balls are 3/4 inches long. Caring For your Jewelry: Sterling silver, copper & bronze naturally oxidize over time when exposed to air and other corrosive chemicals, including but not limited to, lotions, perfumes, chlorinated or salted water. In addition, wearing your jewelry while bathing is not recommended as the water vapor and chemicals in the water will speed up tarnishing. Should your jewelry require cleaning, you may use a liquid soap (such as Dawn dishwashing liquid) mixed with water. Rub gently and pat your jewelry dry with a soft cloth. 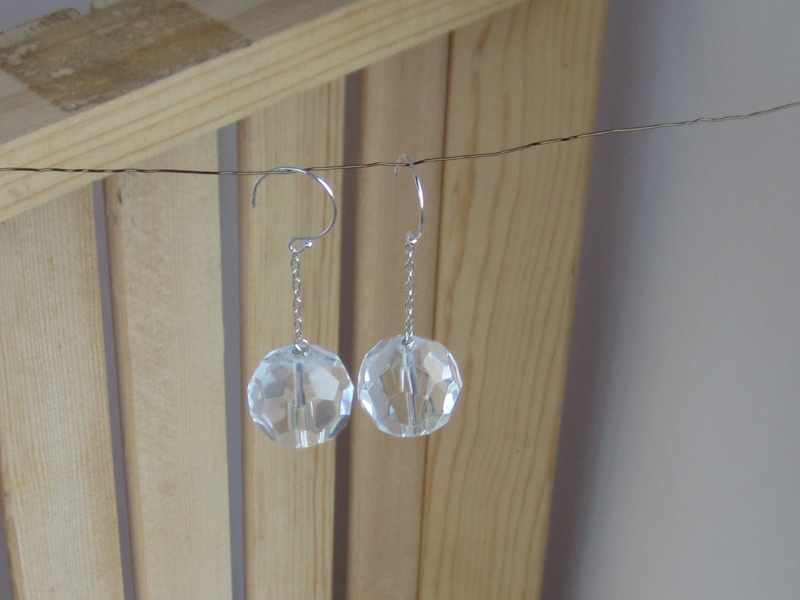 Jewelry should be completely dry prior to storage. You may polish this piece with a soft jeweler's cloth made for sterling silver. Dipping this piece in silver cleaner will damage the stones and is not recommended. Please sanitize just the parts of your earrings that go through your ear with rubbing alcohol before you wear them. 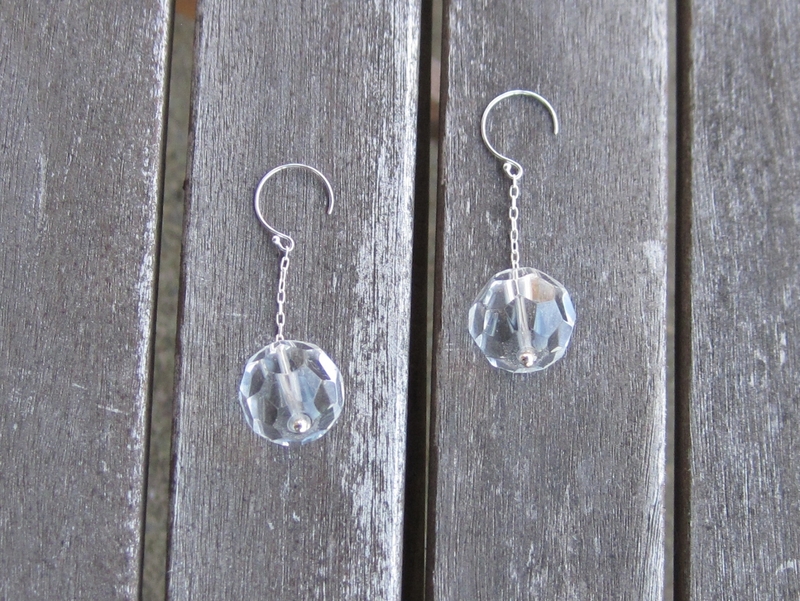 Do not soak earrings or use rubbing alcohol on any other part of the earring as it may cause cloudiness.